Solid state drives are a standard among enthusiasts and are readily available in many OEM offerings, but most users still have at least one mechanical hard drive spinning away for storing large amounts of data. Samsung is working to eliminate the need for traditional hard drive storage with its QLC based NAND memory. Slower than the now common TLC NAND found in consumer grade solid state drives, QLC has the ability to be packed into a denser configuration. A single chip intended to be packed into a finished product will be able to hold 1.5 TB. 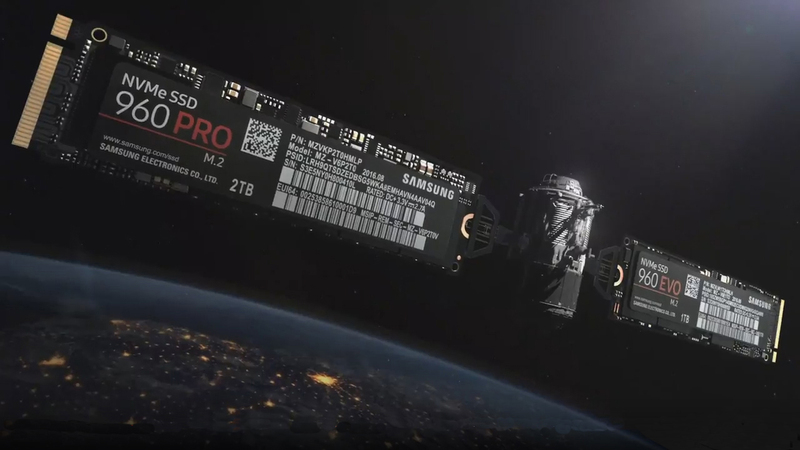 Extrapolating this out to 32 chips in a single solid state drive results in a 48 TB drive, although Samsung already has plans for a 128 TB SAS enterprise SSD. Clearly the enterprise grade options will not be affordable for consumers, but reducing the number of parts required for smaller capacity drives should help bring more affordable options. Seeing several terabyte SSDs at costs closer to mechanical hard drives is a possibility. More storage capacity is great, but life expectancy is also a concern since existing drives still have a limited amount of write operations that can be performed before the memory wears out. QLC is less durable than TLC NAND, yet has 4 bits per cell in an attempt to increase its longevity. Combined with existing wear-leveling and error correction technologies, rest assured that large capacity drives will still remain usable for longer than an average consumer needs. Even though QLC is not impressively fast on its own, the ability to access data in parallel through a raid-like configuration leaves plenty of opportunity for creative ways of quickly handling file operations. The cream of the crop Samsung 960 NVMe SSDs are also expected to receive a refresh over the next several months. It is doubtful that QLC NAND will be found on the next update of the high speed M.2 form factor drives; however, fast turn around times have been seen from Samsung in the past so the jury remains out until further information is available.